Home » Race to the Finish! 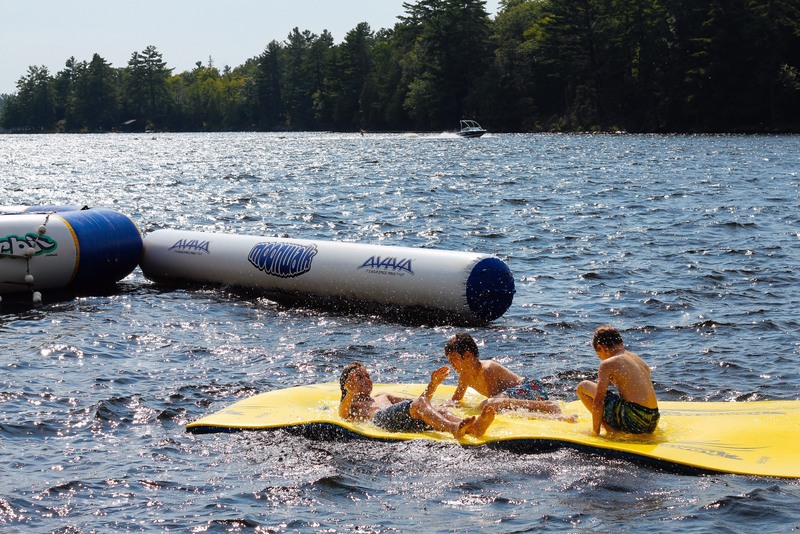 It’s a gorgeous sunny day here at camp, and it’s an exciting one, too! We’re heading towards the finish line of camp, but there’s still so much happening! We never stop here at Manitou…not until the very last second. Yesterday, our friends from Crestwood Day Camp left us, but I get the feeling we’ll be seeing some of them around Manitou next year. They had an awesome time trying our activities, and having the experience of sleeping in a cabin with friends…I just know they had a blast! Just after my new friends had left, I went and watched the M.I.F.F. (the Manitou International Film Festival), which our Video staff and campers have been working on all session. I was extremely impressed by the work put into all of the films, and by the creativity and imagination of our Manitou family! We laughed, we cried, we smiled, and I can’t wait until it goes up on the web in the Fall for all of you to see! As is Thursday tradition, we had two of our Units head to Beach Day–our Juniors and Seniors this week–and the remainder of our in-camp cabins did counsellor-planned Cabin Activities. I walked around camp and saw one cabin running a car wash, another cabin dressing up as pigs, and one more cabin having a mini World Games in anticipation for the days to come. The counsellors and campers of every cabin were laughing and smiling non-stop, and I was so happy that our final Cabin Activities of the summer were memorable ones! Speaking of memories, we have had many of our Canoe Trips come back, and tell us all stories and adventures they made while exploring the Ontario wilderness! Our 8-day trip gets back today, and I know they will have enough memories to last a lifetime, and new best friends, too! And as if there weren’t enough amazing things going on, we have had some incredible Evening Programs running in the last few days, too! The Seniors and Sophomores teamed up to run Prom, which had epic staff promposals leading up to the big event. And the Juniors ran a great E.P. based off the TV show ‘The Bachelor.’ What will our Unit Heads think of next?